CS Foundation June 2018 examination form filling will be started from 30th September 2017. You can apply for CS Foundation June 2018 exams either off-line or online. However applying through off-line/ physical mode will cost 500Rs extra toward exam form fee. If you apply online for CS Dec 2017 exam then this Rs. 500 fees can be waived. 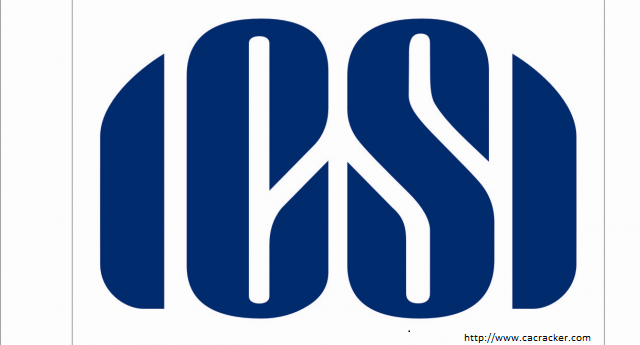 Here is ICSI CS Foundation online exam form applying the procedure for June 2018. Just follow the below given easy steps to apply for CS Foundation Exams June 2018 online. That’s it now yo have successfully submitted your CS Exam for CS Foundation June 2018. If you have any query regarding CS Exam form June 2018, then ask me by commenting below.